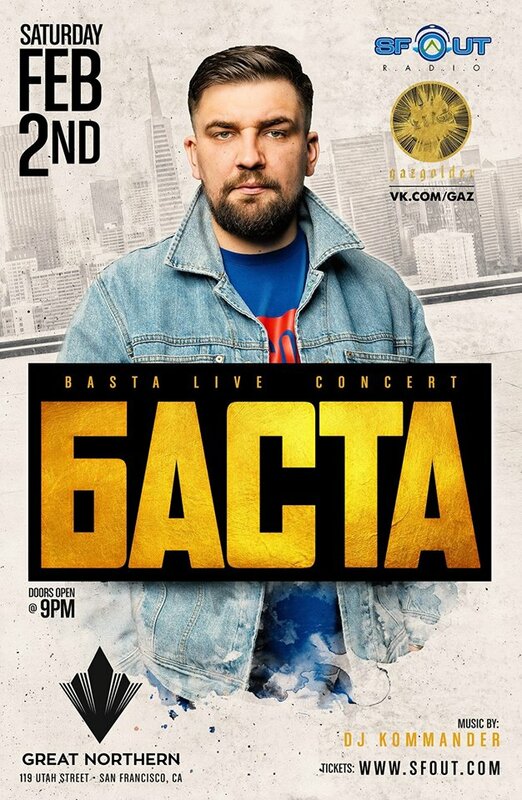 We are proud to present the biggest phenomenon in the hip-hop world… BASTA! Admired and loved by millions, this global sensation will take the Bay Area by storm and give a performance of a lifetime! Get ready for a powerful and thrilling live performance that will have you roaring and asking for more! We can’t wait for February 2nd, 2019, when Баста | Ноггано returns to San Francisco and sets our dance floor on fire!